Summertime, here we come!! 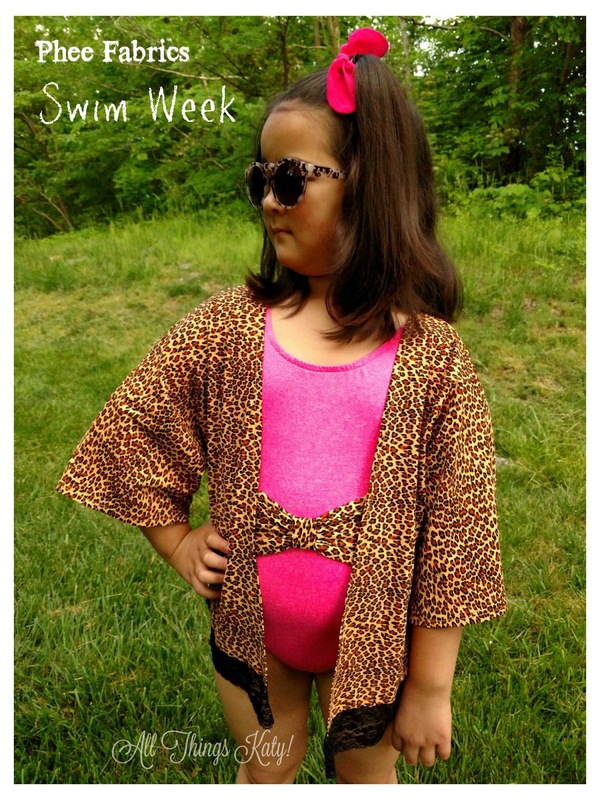 Missy is all set to hit the pool in her new swimwear using Phee Fabrics Heathered Hot Pink Circular Knit and Leopard Print nylon spandex! 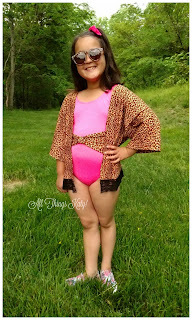 The fabrics from Phee Fabrics were PERFECT for sewing up a Cole's Corner and Creations Bow-a-licious bathing suit and Treasurie Kimono (cover-up). 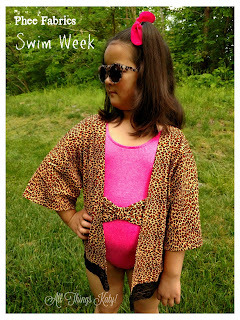 I love the fun bow feature of the Cole's Corner and Creations Bow-a-licious bathing suit! Now, technically, the Treasurie Kimono is meant for wovens but it translated perfectly using the Phee Fabrics Leopard Print nylon spandex (no mods, or, sizing up is necessary). 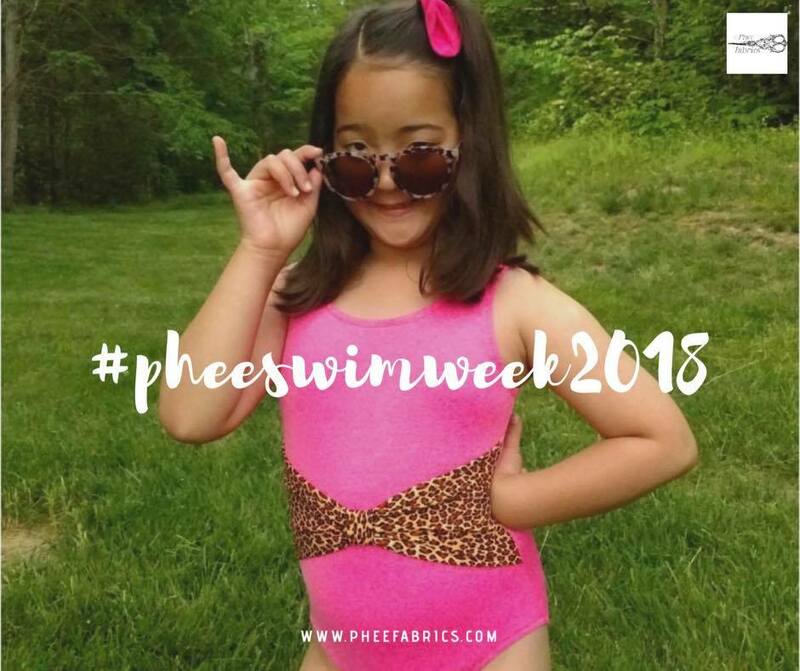 The Phee Fabrics Heathered Hot Pink Circular Knit and Leopard Print nylon spandex fabrics were easy to work with and both are antimicrobial and moisture-wicking (aka- exactly what you need in swimwear). The fabrics are soft and cool to the touch. The Phee Fabrics Heathered Hot Pink Circular Knit and Leopard Print nylon spandex wash up perfectly, as well! We've already worn- and washed- this suit and cover-up a couple times and they STILL look just as bright and vibrant as the day we took these pictures!